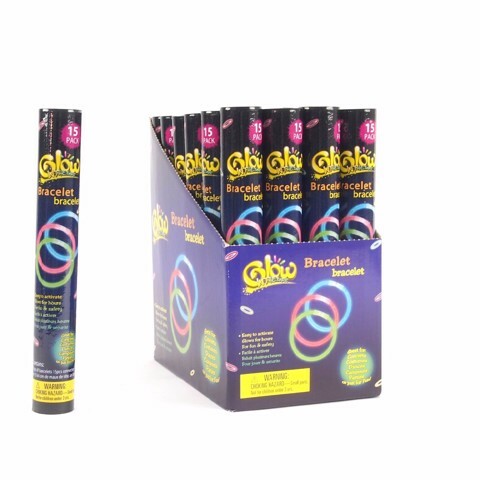 Glow Sticks 15Pk. 20cm Tube . Pink | Green | Yellow | Purple | Orange. 3 of Each Per Pack. PE Plastic | Dibutyl Phthalate | Dimethyl Phthalate. 0 Packaging: Printed Cylinder | 24 Cylinders In SRT.